When you have a new smartphone on the horizon, leaks are an unfortunate but almost accepted fact of life. That may be because some of them are much more intentional than device makers would like to admit, but whatever the reason, one of the best ways to catch a leak is to keep an eye out for unknown devices popping up in the results created by benchmark software. With that in mind, say hello to the OnePlus 3. We are, of course, jumping the gun a tad here, because while we know that OnePlus is indeed very likely to release a new flagship device within the next few months – in the second quarter, according to OnePlus founder Carl Pei – little is actually written in stone. 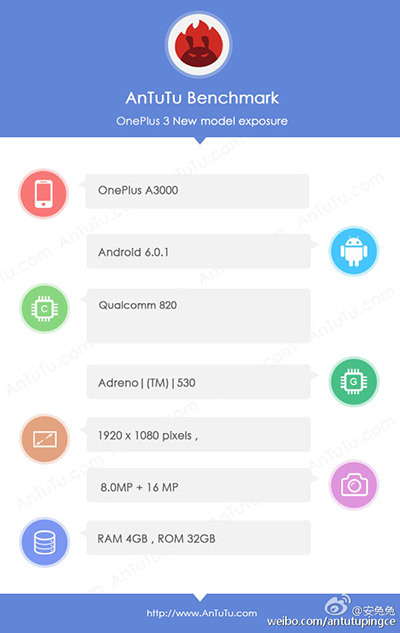 There has, however, been a sighting of an unknown “OnePlus A3000” in the results offered by popular benchmarking tool AnTuTu Benchmark, with suggestions being that the device is in fact the OnePlus 3. 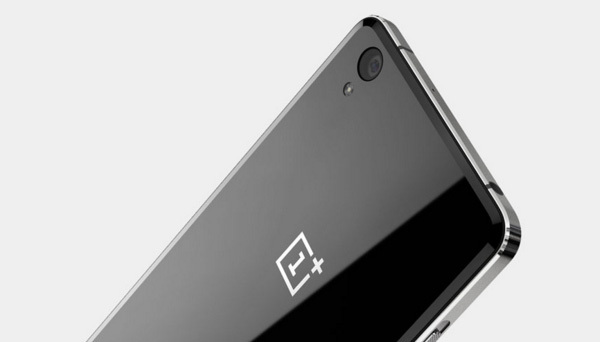 The specifications certainly line up fairly well with what we would expect from OnePlus. The specs of the device currently named the A3000 include a Snapdragon 820 processor, 4GB of RAM, and 32GB of storage and while a full-HD screen is mentioned, there is no way of knowing how large the screen is, meaning we don’t know what kind of pixel density we are talking about here. The benchmarks also list “8MP + 16MP” cameras, though at this point, it is unknown whether that means the device takes advantage of a dual-camera system or that both the front and rear cameras are listed. For confirmation either way, we need a little more information. As for things we do know, Pei has already said that the OnePlus 3 will see a more traditional sales process than in past years, and that the smartphone will still be sold as an unlocked device via OnePlus itself. OnePlus 3 Renders And Specs Leaked? so wtf was the score? Let’s hope that there are also models with 64GB and more as even 32GB is not really future proof these days. For you maybe not, even 16GB is still enough for plenty. Just not those on these sites. The specs were leaked, not the score…..
no SD card? no thanks. Your mom is the score. A big fat zero.